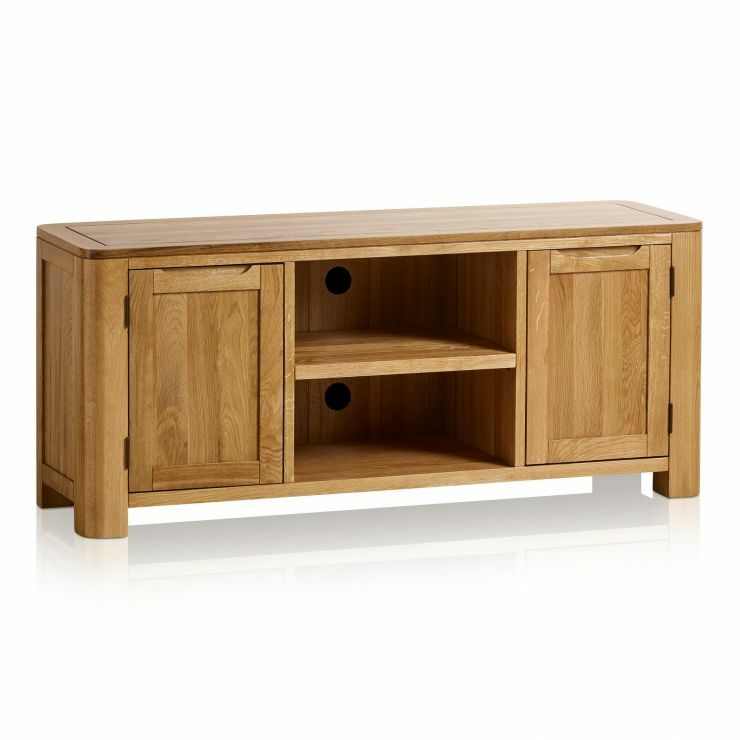 Complete your living room design with the Romsey large TV cabinet. 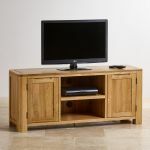 Designed to be the perfect home for your TV, audio equipment, and more, it boasts 100% solid oak construction with excellent attention to detail. 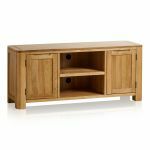 The oak is finished with our nourishing natural wax, which protects the timbers and give the TV cabinet a cheerful sheen. 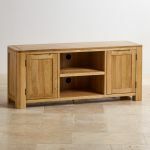 The warm tones of the timbers help to bring out the natural grain patterns and enhance the simple silhouette of the piece, which has all the signature design elements of the Romsey collection. The rounded corners, subtle cut detailing on top, and sculpted recessed handles work together for a modern style. 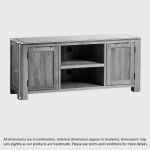 This large TV unit features a central shelving section - complete with handy exit holes cut at the back to help manage the cables of your media players, gaming consoles, etc - flanked by two deep cupboards for hidden storage. 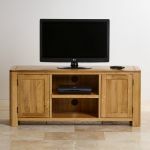 Don't forget about our fantastic delivery options, free to your living room as standard!